One of the biggest and best features of modern versions of macOS is Continuity. 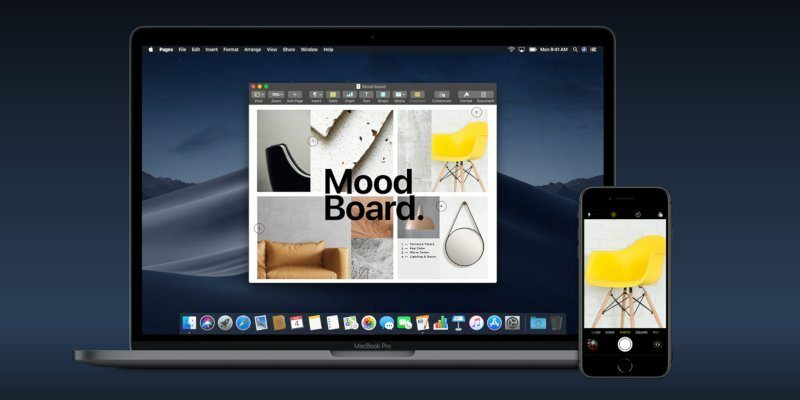 This feature allows you to move and share information and functionality of your other Apple devices that are logged in via the same Apple ID on your Mac. The problem is you have to have the right Apple hardware to get everything working. That is, until now. I have a cool little find here that might help bring your Mac forward in time and give it a few more years of life. Note: completing this task will require you to download and install an enthusiast-supported utility. Not all utilities of this type are created equally, so you’ll need to ensure you have a good virus scanner on your Mac and scan the setup file before you run it. Small but mighty, Continuity came to the Mac with Yosemite. Continuity includes Instant Hot Spot, Airdrop, Text/ Messages and Phone calls and Handoff. With the implementation of macOS Sierra, Continuity grew to include Auto Unlock and Universal Clipboard. With the implementation of macOS Mojave, Continuity also now includes Camera. This is the ability to pass newly taken photos on your iPhone directly to your Mac. While this process won’t enable this new Mojave feature on your Mac today, it will enable Continuity on older hardware. You will have the ability to eventually add it later when the tool supports it. The first thing you’re going to need is something called Continuity Activation Tool. It fools older Macs running older versions of macOS into believing the hardware they have will actually work with Continuity. It then forces the system to recognize new hardware that you may have to install as part of this process, enabling Continuity. The picture below will help you understand where you are with the hardware you have in your current Mac. The software doesn’t officially support High Sierra or El Capitan yet; however, some users have been able to get everything to work on both those versions of macOS. The possibility is worth the effort, but your mileage may vary. Your best chance is to follow this process as closely as possible. Note: You may need to swap out a wireless card (Wi-Fi and/or Bluetooth) or add a Bluetooth LE dongle, but this process should get everything to work correctly. You should be familiar and comfortable with making minor hardware upgrades. You may be replacing minor daughter boards within your Mac here. In order to enable Continuity on your older Mac, you’ll need to follow the steps below. 1. Replace any needed hardware. This will include your Wi-Fi and/ or Bluetooth wireless cards. Reassemble your Mac and ensure that the new components work. 2. You must disable System Integrity Protection in order to get the changes to work. 2.1 Turn your Mac off. 2.2 Press and hold Command + R to enter Recovery. 2.3 Turn your Mac back on and enter Recovery. 2.4. After Recovery loads, click on “Utilities -> Terminal” in the menu bar. and press Return. Reboot your Mac. 4. Copy the two kext files and paste them to an external drive or USB pen for safekeeping in case of problems. 5. Now launch Continuity Activation Tool and follow the on-screen instructions. 6. If it warns of an unsupported macOS version, simply select YES to continue. 7. If using a Bluetooth 4.0 dongle, insert it into a USB port when prompted. 8. Be sure to read through the initial system report which will give details of what is compatible and what is not and whether any errors have been found. 9. Once the patching is complete, you will need to reboot. Afterwards, the Continuity features should be active. You can verify this is the case by opening Continuity Activation Tool again and selecting a system report instead of actually patching. In order to make certain that your older Mac continues to gain new Continuity features as they are made part of the Activation Tool, you should check for updates and then rerun this patching sequence in order to get the new functionality. Now that Continuity is enabled on your Mac, as new functionality becomes available with the Activation Tool, bringing it into your computing experience should just be a matter of a simple software upgrade. You’ll have Mojave’s Continutiy on your older Mac in a matter of moments. This tool doesn’t work on Mojave. After using this tool the Mid 2009 Macbook pro with Mojave patch goes into infinite loop. Nothing help, SIP is disabled, apps from any sources are enabled. Any ideas?